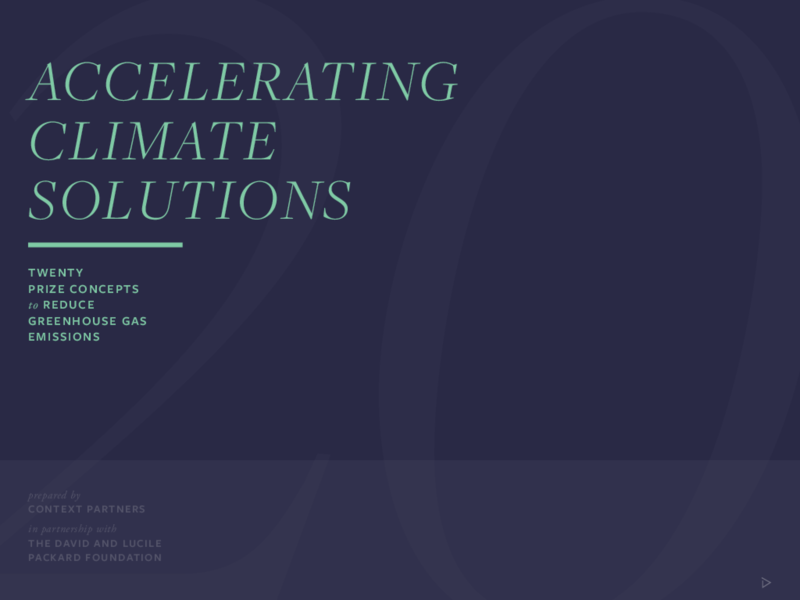 To push the boundaries of innovation and reduce greenhouse gas emissions, the David and Lucile Packard Foundation tapped Context Partners to investigate the impact prizes and competitions can have on climate change. Together with climate experts, they developed 20 strategic prize concepts. The Packard Foundation and Context Partners invite people to delve into these prize concepts and imagine how they could alter the course of climate change for a better future.